If you want your belt to have a D-Ring style cobra, add this to your cart. If you have multiple belts in your cart, please specify which belt gets the D-Ring, or order one for each belt. 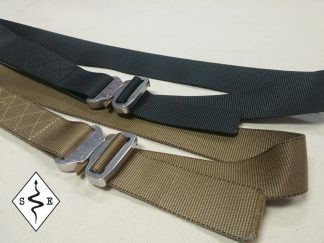 Cobra Buckles are not available for separate purchase. D-Rings are not available for the 2″ Duty Belt, and are only available in Matte Black finish.